Is it too early for Christmas posts? Absolutely not! Whilst a lot of people associate this time of the year with the new John Lewis advert, I get super excited to see what The Body Shop will stock for their Christmas scents. It's kind of sad, but hey, I absolutely love pretty much everything they put out! That gingerbread scent from a few years ago? To die for! So when they announced that the scents this year would be Vanilla Chai, Spiced Apple and Frosted Berries, I just had to get down to my local shop and give them a sniff. I'm aware that I'm about to go against what I just said about liking everything they put out, but the Frosted Berries scent just wasn't for me. It was a little too over-powering and sweet, but the Vanilla Chai and Spiced Apple were on another level. I couldn't help but pick up a few bits and bobs, so I thought I'd share them with you. 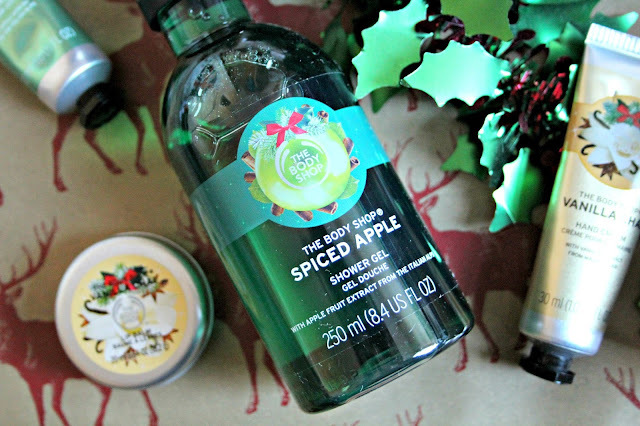 The Spiced Apple range was J's favourite, so I chose a few bits that I thought he would love, and one was the shower gel (£5). As always, this shower gel is soap-free, so it is really gentle on the skin but doesn't skip out on that essential festive scent. Honestly, it's absolutely mouthwatering. It works up into a great lather, coating your body in an apple, cinnamon and orange scent. We both love it! I also picked up the exfoliating sugar body scrub (£15). Normally, I like the rougher scrubs from The Body Shop, like the raspberry or blueberry one, but this is really lovely and gentle on the skin. It's full of sugar and that same, beautiful apple scent to help buff away dead skin whilst making you smell delicious. It has really helped to make my skin feel softer without any uncomfortable scratching. 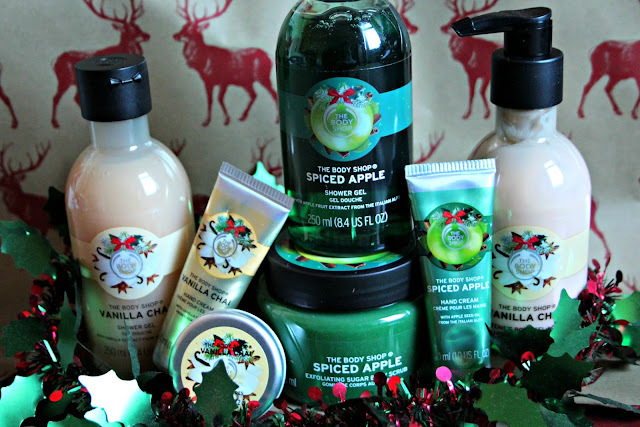 The last thing that I chose from the Spiced Apple range is the hand cream (£4). I absolutely swear by The Body Shops hand creams at this time of the year, and all year round in fact! They absorb so so quickly and don't leave any sticky residue. Plus, the scent just makes them even better, especially this Christmassy bonanza scent. I've been using this at least once a day and my hands have never felt better! Next, I delved into the Vanilla Chai range, and oh my goodness, I wish I could eat this stuff. It smells like real vanilla ice cream with just the slightest hint of chai tea. It's absolutely beautiful! Of course, I had to get a shower gel (£5) in this scent too, because I just need that ice cream scented skin. Again, it's soap free, so it is really gentle on your skin. I also picked up another hand cream (£4), just to fuel my love for them even more. Seriously, if you haven't tried The Body Shop hand creams, you need to! Along with the dry hands that I get this time of the year, I also get extremely dry lips without fail. 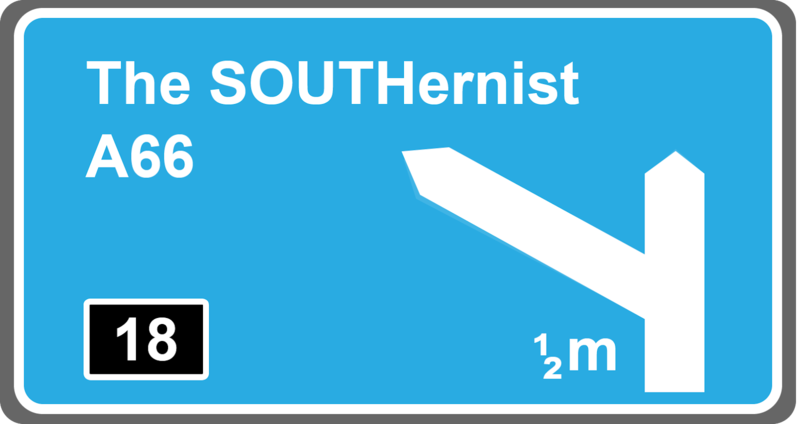 That's why I decided to pick up the lip balm (£4), which comes in a tin instead of a wind-up tube. It's small and slim, so it can fit into a pocket or bag with ease for application on the go. It applies so smoothly and leaves a light shine on my lips, but once it has been absorbed, my lips are left feeling moisturised and soft. Plus, having that vanilla scent right under my nose is such a treat. And last of all, I chose the body gel-lotion (£8). I was intrigued to try this, as I'd never heard of a body gel-lotion, but I am head over heels. This may be an unpopular opinion, but I massively prefer The Body Shops body lotions over their body butters. I just find that the body butters don't soak in as quickly as I'd like, but the lotions just sink in straight away. They don't leave a sticky residue and absorb to make your skin silky smooth. This one is no exception and is perhaps even better than the other body lotions from the company! So those are my picks from The Body Shops Christmas range! Like I said, I wasn't a fan of the Frosted Berries scent, but it may be something that you guys love. If you're looking for a true Christmas scent, definitely try out the Spiced Apple range, or if you love sweet smells, the Vanilla Chai will be right up your street. There are so many other items in each of the ranges like shimmer mists, home fragrances and bubble bath, so I'd love to know what they're like!